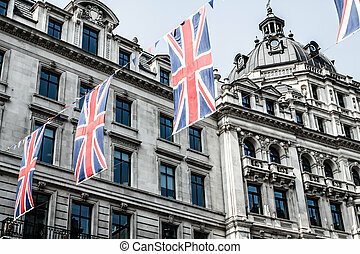 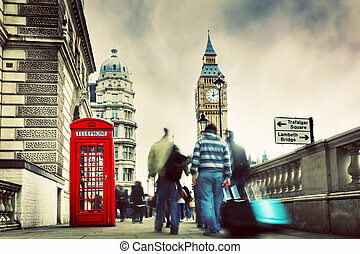 London, the uk. 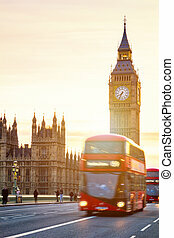 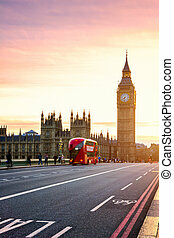 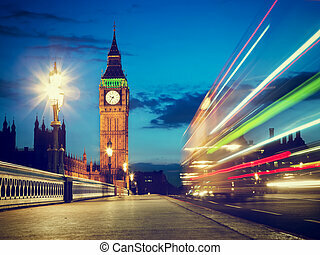 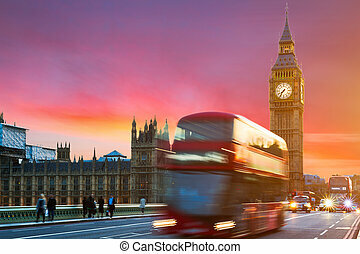 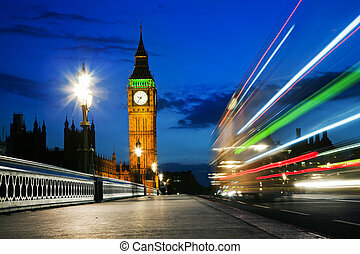 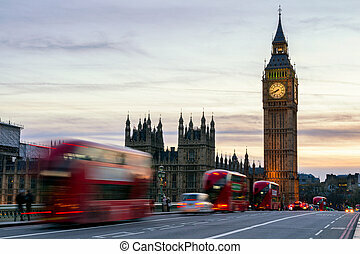 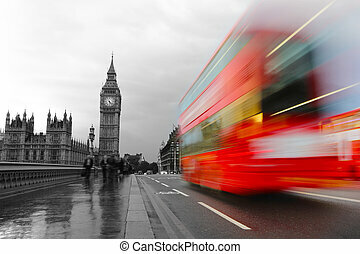 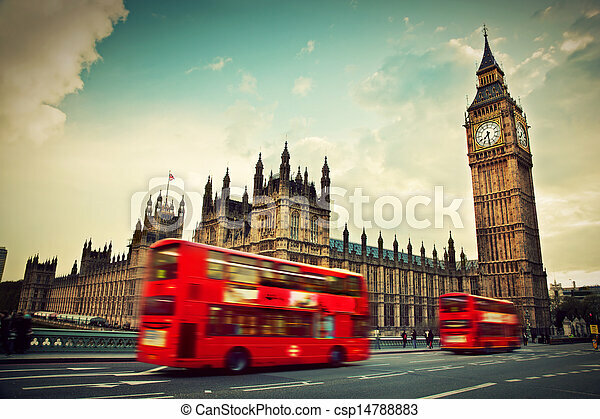 red bus in motion and big ben, the palace of westminster. 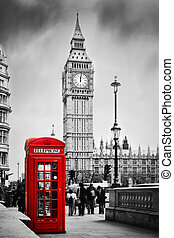 the icons of england in vintage, retro style. 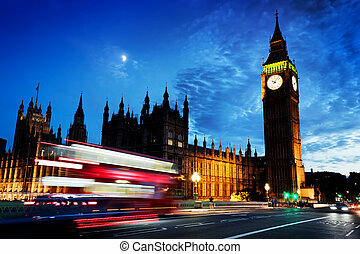 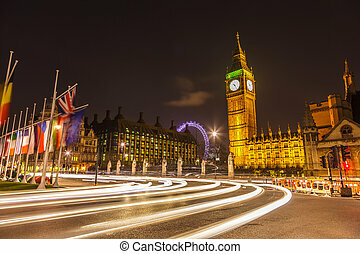 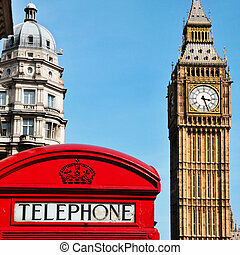 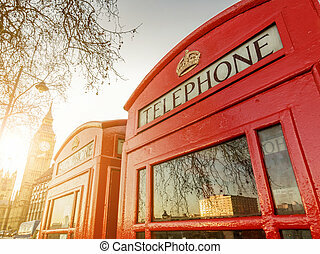 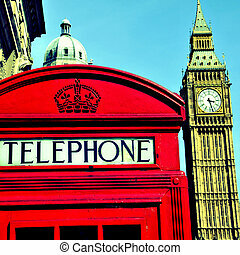 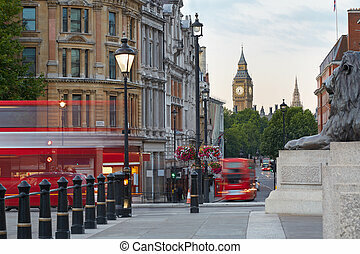 Red telephone booth and Big Ben in London, England, the UK. 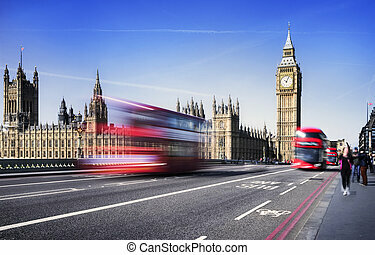 People walking in rush. 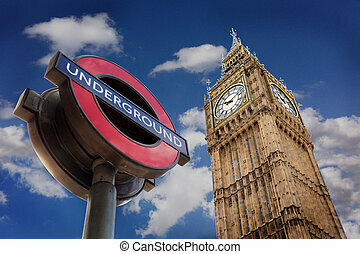 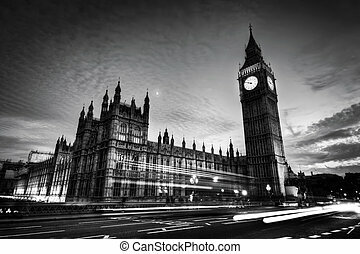 The symbols of London in black on white.